Danny and his staff are amazing! Extremely reasonable rates! Very reliable! I was amazed of the high quality of care, professionalism and the service was absolutely suberb! 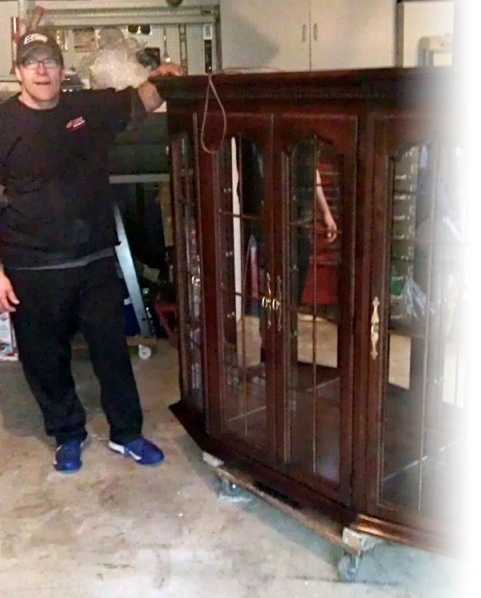 Compared to other moving companies, Danny is absolutely the best around. My brother, whom is in the Navy, had unexpectedly gone on deployment. I was charged with moving him out of his apartment. However, I had been undergoing medical procedures and surgery and was unable to do much at all. Danny and his staff came to the home and took charge! He did everything! 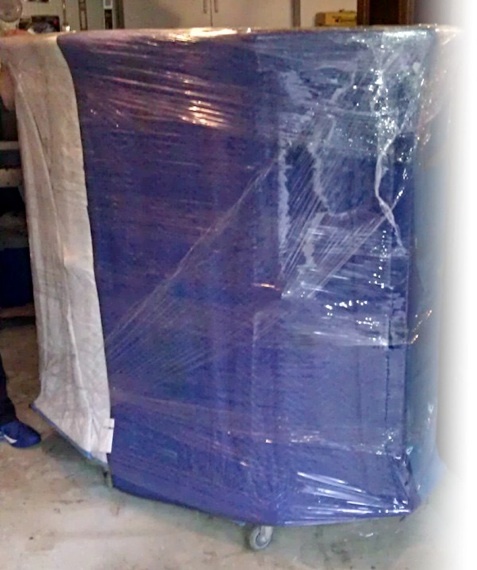 From ensuring everything was packed well to ensuring everything was stored properly! Simply amazing! We were able to rely on Danny and his staff to do everything both efficiently and with great care! I cannot thank Danny enough for his professionalism, care, and understanding! Extremely and Highly recommended! And I dont hand out such recommendations lightly. Cheers! You guys are amazing. Absolutely amazing. The fact you managed to get my HUGE desk upstairs--taking it apart to get it through the doorway and reconstructing it--is a miracle. Plus the credenza and all the other stuff. Add to that the reality that you did it with good humor, a positive attitude and a quickness that surpassed all expectations earns you the highest rating in my book. Thank you for also moving things into my garage and the boxes that contained my office's contents as well. You guys rock!! I'm putting Danny the Mover into my permanent files and will call you for any and all moving stuff in the future. If I ever need to move again, I hope Danny and crew are still in the moving business! I heard about them from a friend who thought they did great work, and indeed they do. Every aspect of the move from initial contact for an estimate to the actual move was really perfect. Danny and his team have moved us twice now and each time they've done an incredible job protecting our furniture and the spaces we're moving in to and out of. They are safe, efficient and best of all--fun to work with! Also, the fact that they were able to safely move my piano was an incredible plus. Love Danny and his team and for sure would use them again! Danny, you and John are the best! All my things were moved efficiently and safely (even my grandma's china cabinet). You took the stress out of moving. Thanks for the great job! And they did. They quickly packed up almost my entire apartment, and moved it and me, up and down 3 flights of stairs, in about 4 hours, it was amazing. They also charged me less than the original quote, and told me a few really good tips for packing, how to deal with clothes, the best way to pack books, etc. The second time I moved, they were just as fast and efficient, and even helped me configure my furniture to something better than I had planned for the space myself. They didn’t stop for a breath all day, just kept going until the job was done. Moving day with Danny the Mover is actually fun! I have stayed friends with them on Facebook since that first move, because not only are they a great and very professional moving company, they are also really lovely people. I must have picked the rainiest Saturday of them all to move, which meant I was extra thankful for Danny and John! They did a great job moving all of my stuff, including several pieces of large furniture, through the awkward corners of my new entryway. They were so friendly and worked tirelessly for hours, making this the smoothest move I've ever had. I was moving from South Lake Union to Lower Queen Anne, but they serve the entire metro area. I'll definitely use them again the next time I move and would recommend them to anyone else! Danny the mover and his team are great, very real people who respect what you have and move it with care. They have moved my parents, and siblings, and will be moving me in a few weeks. I trust them with my special breakable treasures. They don't just walk in and start moving, they make a plan and it is smooth. Love these guys! Holy Cow! I bought a piano on craigslist and had no idea what was involved in moving a piano. After quickly realizing I couldn't do it myself, I called a few movers. Not only was Danny the lowest price and the most responsive, he actually offered to move it the same day...which actually meant he started the job at 7 p.m. This also involved a 150-mile round-trip. He showed up at our house last night at 10:00 pm, after sending me updates along the way and even reminding me to buy caster cups to protect my hardwoods. He was cheerful and professional and the piano is in fantastic shape. I can't thank you enough. Best price, fantastic communication, and willing to go out of his way to help - it doesn't get any better than this. Danny The Mover was recommended by my realtor on Mercer Island. She has been a prominent realtor for decades and has good information on lots of home services--and suggesting Danny The Mover, who had moved many of her clients--based on key information and feedback. Danny gave me an estimate in hours that was spot-on, they worked exceptionally hard, they knew how to move (wrapping in plastic and furniture covers), pack the truck, and were as quick as two people could be. His bill was accurate, service polite and professional, and he is a fine man. Danny would be the first person I would call when I next move. Danny moved my daughter and son-in-law today. He did a great job, and was really pleasant! We have been using Danny the Mover for several years and moves, and would not even think of calling anyone else! They are easy to reach, have always been able to move on the day I need it, and are reliable AND enjoyable to work with. Danny and his crew arrive on time, assess the move and start right in. They have always worked efficiently and carefully, have put together the bed at the new place so we can sleep when we get there, and will move anything we need them to, even if it is not boxed. We have always appreciated their helpful moving and packing suggestions. Though we don’t like to move, when we do, we always call them! A HUGE thanks to Danny and his crew for all their hard work moving us into our new home in Ravenna! We truly appreciate how quickly you guys worked, and how well you took care of all our items. And to top it all off, super nice guys. We will definitely call you again! We just completed the first of a two part move with Danny the Mover and couldn't be happier with the results. The scheduler was friendly and helpful. The movers arrived on time, worked efficiently, carefully wrapped and loaded our items and provided expert advice on both moving and packing. They were personable and answered all my questions and concerns. When the job was complete, the charges were exactly as had been quoted and they wanted to make sure that we were completely satisfied. We would highly recommend their services to anyone needing careful, hard working and caring movers. We'll definitely use their services again. Thank you.